Status : Member of the Canadian ACTF. 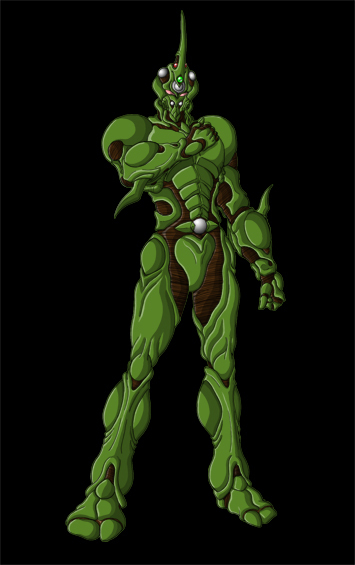 Description: Description: Subject is the original Guyver created by Uranus, though originally the unit was removed and the host killed by Alkanphel, the dormant unit was experimented on by a Gen scientist and somehow absorbed him when something triggered it to regenerate its original human host. Now it seems the host of this unit has become some sort of human/Gen hybrid and possesses both the power of a Guyver and some of the telepathic power of a Gen. Presently the host has sided with the Canadian ACTF movement in their fight against Chronos. Psychological Profile: Subject seems to have forgotten much of his past prior to his discovery in Canada. He has a natural bond towards humans allowing him to side with them over Chronos in their fight against each other. He is a loner and will keep to himself much of the time. He is a flight risk due to no connections with the people around him. However, he a valuable asset as he appears to have skills second to none as a Guyver. 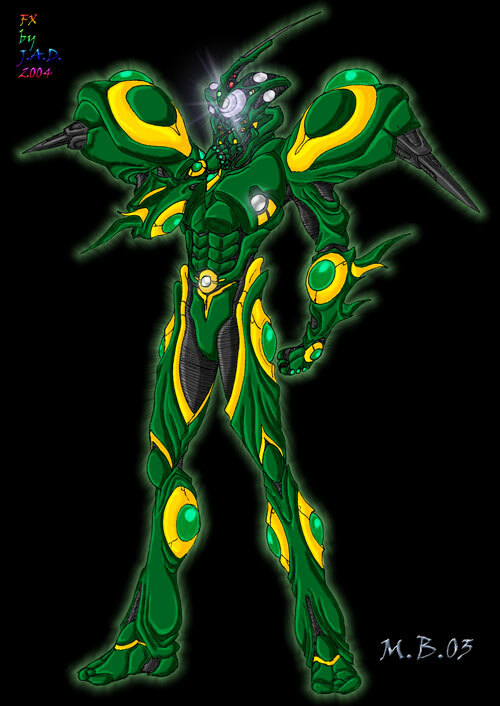 TELEPATHY: Subject is part Gen and has shown additional abilities not seen in the other standard Guyver units such as being able to read minds, and telepathically talk to non-Guyvers with ease. It is unknown the full range of these abilities as of yet. GIGANTIC UPGRADE: The subject has on occasion summoned with permission from GUYVER 1 to use his Gigantic upgrade. The powerful upgrade dramatically increases the subject’s base powers and increase his strength by several fold, it also adds additional abilities not shown in the subject’s unit. Such as able to project a powerful shield system capable of withstanding all but the most powerful attacks, addition of back thrusters for quick acceleration and attacks. The upgrade possesses power amps that greatly enhances the subject’s power channeling abilities which allow for additional powerful attacks. As GIGANTIC ZERO, he is easily among the most powerful Guyvers in the Canadian ACTF.